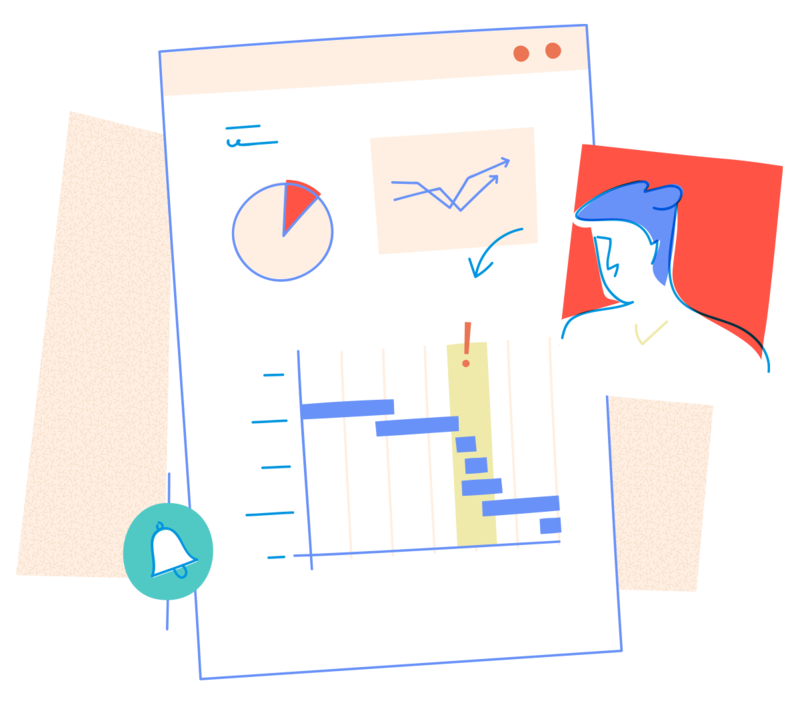 Detailed visuals on your team's progress let you know where the bottlenecks are so you can take action. See how your plans have held up against the current project status.. If your plans change,Also view the dependencies between tasks. If the plan changes, you can make edits in the chart itself. In an instant, you can discover who in your team has time to spare, who is fully occupied, and who is overloaded. Make sure your resources are optimally engaged at all times. The advanced analytics add-on comes with more than 50 reports that give you deep insights into your projects. 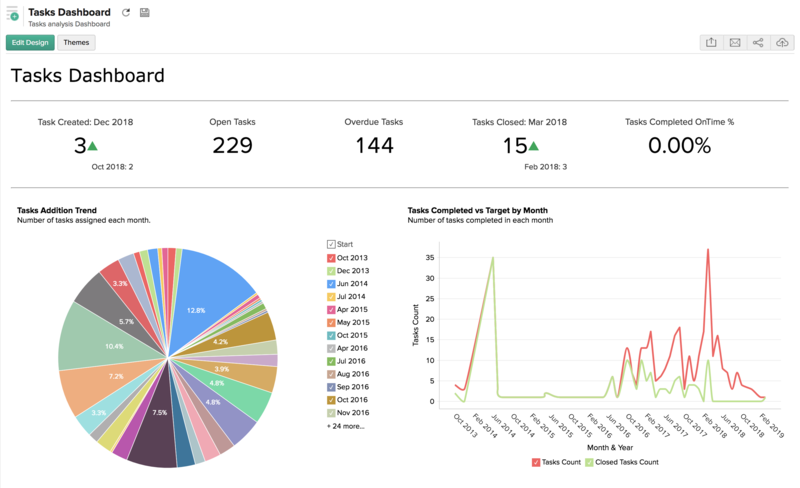 If that still isn't enough, you can also design and view your own custom reports as well.